M12 Lenses Inc is is a Florida Corporation, incorporated in 2010. We are committed to provide you the most affordable high quality CCTV lenses in the market. We source our lenses directly from the manufacturers to get you the lowest price, and quickest delivery. Most of our poducts are usually in stock and usually ship out the next day if the order is received before 3PM eastern time. Out of stock items usually ship out in 2-4 weeks and we try our best to make it even faster if at all possible. Come and join a group of satisfied customers who bought our products! 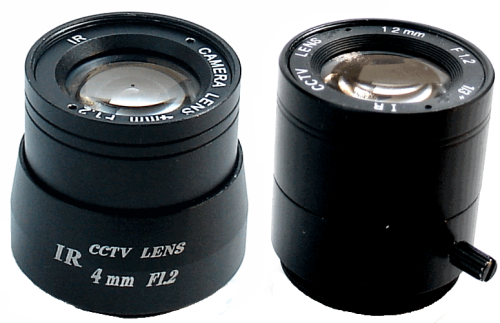 We carry a large range of High resolution CCTV Lenses, including M12 Lenses and CS Mount Lenses. All our lenses have Glass optics, delivering superior image quality. 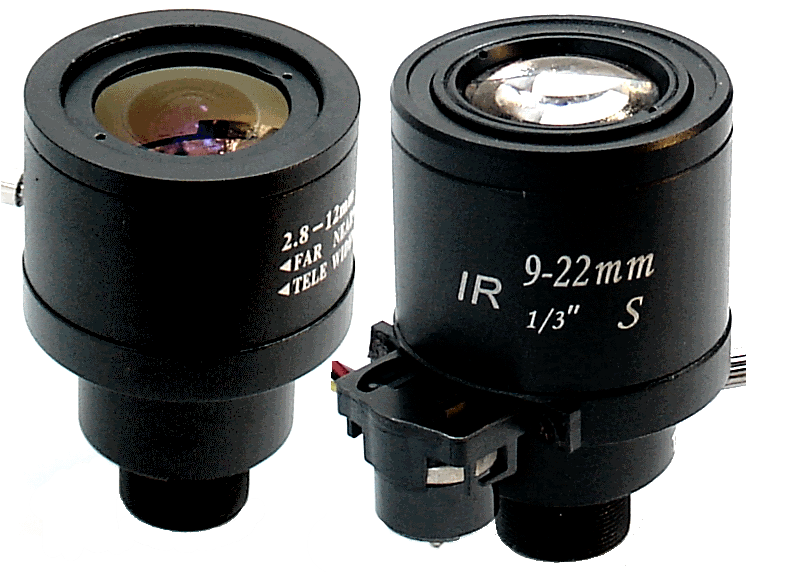 From 2.1mm up to 60mm focal length, from Board lenses to large aperture, fixed focal length and zoom lenses, are ideal for a wide variety of applications including automotive, semiconductor, machine vision and surveillance imaging. Being the most affordable lenses in the industry and backed by our one year warrenty, they come with a promise of quality, affordability and reliability. Our M12 Mount Board Lenses are the most affordable in the market. 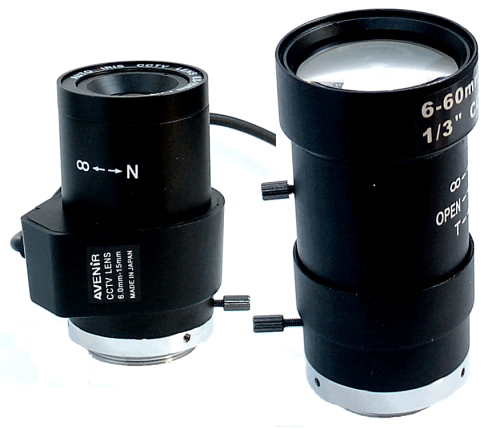 They have Metal Housings and Glass optics making them reliable and durable, specially in extended temperature range. All of our board lenses are IR capable, enabling day/night operation. 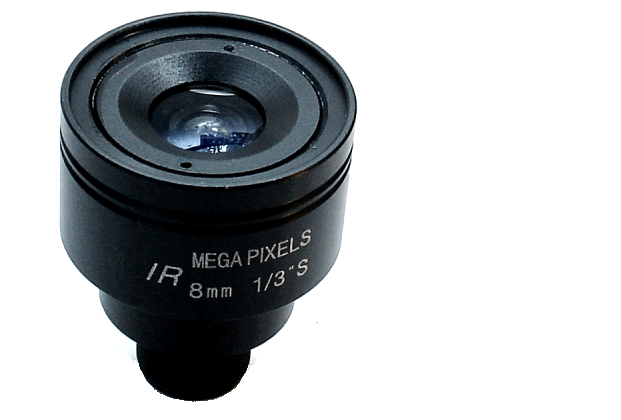 M12 Mount Mega Pixel Lenses provide excellent resolution and low distortion for demanding applications. Our Mega Pixel Lenses are the most affordable in the market while their oosust all metal construction and all glass optics provide reliability, durability and excellent optical characteristics. These lenses ar IR Capable. M12 Mount Zoom (Vari Focal) lenses come in several zoom ranges; 2.8-12mm, 4-9mm, 2.5-8mm and 9-22mm, with manual or auto iris. Their glass optics provide excellent optical characteristics while the all metal hounsings provide the durabiliy. These lenses ar IR Capable. 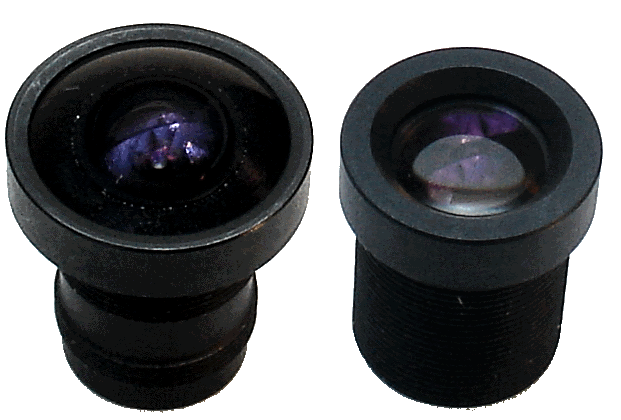 CS Mount Mono Focal lenses are ideal for Machine Vision applications and CCTV applications. Robust Metal body construction and Glass optics provide excellent optical and mechanical characteristics at affordable pricing. Select the appropriate lens from our High Resolution Series, Large Aperture series or the Standard resolution resies to suite your application. These Lenses are IR Capable. Our CS Mount Zoom Lenses come in several zoom ranges: 3.6-8mm, 6-15mm, 2.8-12mm and 6-60mm, with manual or auto iris. Their robust metal body and glass optics provide phenominal optical and mechanical characteristics. These lenses are IR capable. Our Plastic and Metal M12 Lens Holders are ideal for building your own product using M12 mount Lenses. Plastic Lens holders are very affordable and light weight. Metal Lens Holders are CNC Machined out of solid Aluminum and Black Anodized with very tight tolerences and are made in the USA.